Oh, Look: A Flashback Episode! Due to a confluence of events (my fiancee losing someone very dear to her, myself being ill, and my good friend, Terry, and his wife - whom I've not seen in four years - visiting for a week) my intended posting schedule for this week has had a serious dent put in it. So, I'm going to take a cue from 70's and 80's sitcoms: I'm going to do a "flashback episode." Well, at least the blog equivalent. I'm going to repost one of my older posts from the archives that newer visitors to A Rust Monster... may have missed. I apologize for the interruption in normal posting, and hope I'll be able to resume it come next Monday. This isn't part of our current Module B2: The Keep on the Borderlands campaign, but I thought I'd share it anyway. A couple of years ago, I had every intention of running this module for my fiancee and my boys. I never got around to it (Whoa! There's a big suprise!) 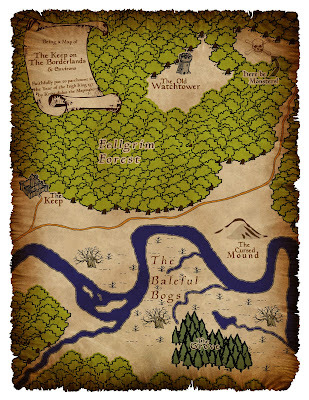 but I made this map as a player handout. 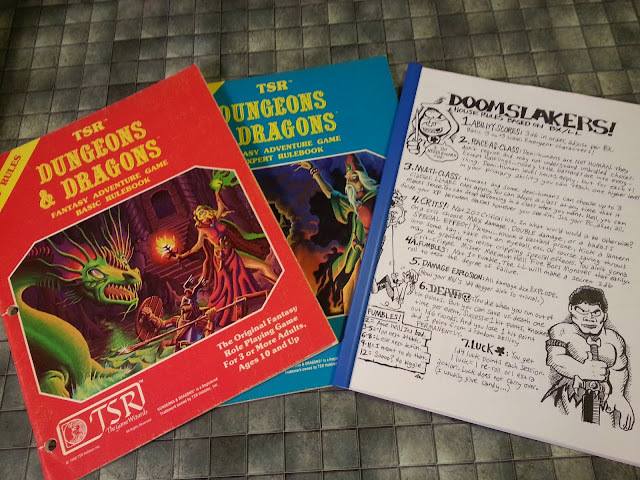 I wanted something that was a little more vague and full of character, and a little less late-1970's-production-quality than the maps in the module. This is what I came up with. I also created a DM's version of the map, complete with encounter areas and a hex grid. You can download it here, if you like. There's a reason I never miss your updates. Ah, yes, I recall seeing this before. Always nice to see it again, however! It's a nifty map. Cool! I'm thinking of running KotB soon and may have to take advantage of your creation. Very, very, well done...I love personalized maps. Heck, I love maps, period. I'm always happy to hear it when people find this stuff useful. Thanks!